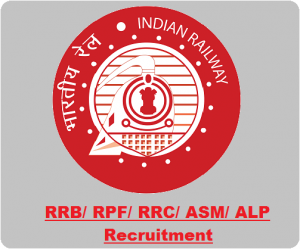 RRB Junior Engineer recruitment 2019-2020: Railway has Published detailed Official Notification in the employment newspaper and their respective RRB region website. In which they mentioned 1.3 Lakhs vacancies for the freshers and including Ex-serviceman. Last year who missed the chance for railway Bharti, here again, you have a great opportunity. Applicants from Indian nationals (male and female) are invited from the desirous and eligible applicants to fill-up the following 1.3 lakh vacancies to the posts of NTPC, PARA-MEDICAL staff, stenographer, Chief law Assistant, Junior Translator (Hindi) & Level 1 post like maintainer Grade IV (Trackman), Gateman, Pointsman, Helpers in Various departments (Electrical, Engineering, Mechanical and S&T department jobs in various RRB zone. All the interested candidates must check out the important dates, eligibility criteria such as Age limit, Requirement & desirable Education qualification, Exam Syllabus, Exam pattern, official notification and apply online link. 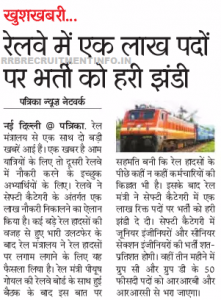 You can apply for the railway jobs on their official website (http://www.indianrailways.gov.in, rrbonlinereg.in or http://www.rrb.gov.in, http://recruit-app.com, rly-rect-appn.in) as per given below schedule.